Welcome to The Pickled Frog! Em, Jimmy & The Frog Team are here to look after you! We have free Mt Wellington trips, free Tassie Devil & Mona shuttles, free Wifi and open fires to keep you warm, mmm! Located in the heart of beautiful Hobart we are perfectly placed for you to explore all the city has to offer. Mountain trip leaves Monday and Thursday mornings. 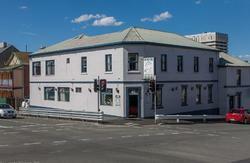 We are located only a 5 minute stroll to Salamanca Place, Hobart's Waterfront and the Town Centre. The hostel has been recently refurbished, without losing any of the relaxed atmosphere or old building charm we've become famous for. 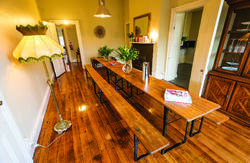 Our aim at The Pickled Frog is to provide you with an all round fabulous Tasmanian experience. Our local staff are here to book your tours, help with travel advice, entertain you and serve you specially priced Tasmanian beers at the end of a long day. We have dorm rooms and private rooms available for your stay, along with all the facilities we think you need for a great hostel experience. Internet cafe with Wi-Fi, in-house bar, large communal kitchen, comfy lounges, big screen TV, inner spring mattresses, off street car parks' just to name a few. At The Pickled Frog we are also committed to being as environmentally friendly as possible, and to giving back to the community. Check out our Global Responsibilities page for more on our Carbon Offset Program and how we contribute to help others. We look forward to seeing you here at The Pickled Frog! 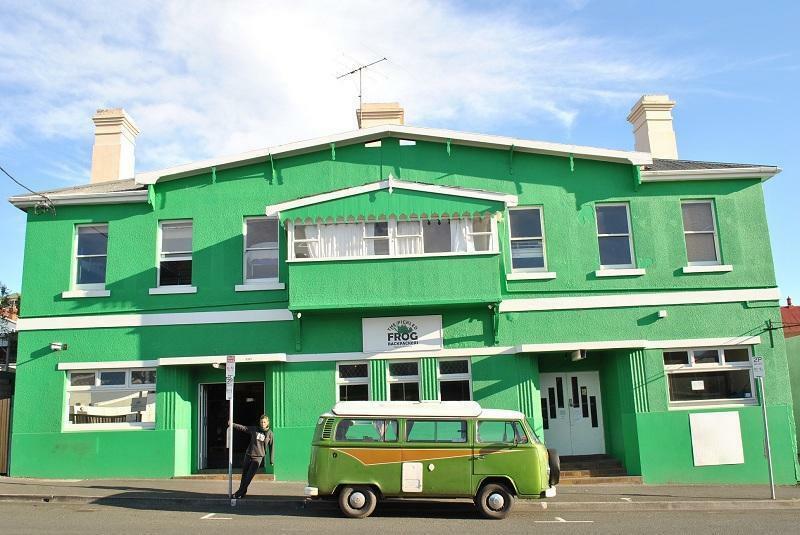 The Pickled Frog is located on the corner of Barrack and Liverpool Streets. It's the really big- bright green builidng on Liverpool street, Ask the airport shuttle to drop you off at the front door of The Pickled Frog, they'll know where it is.